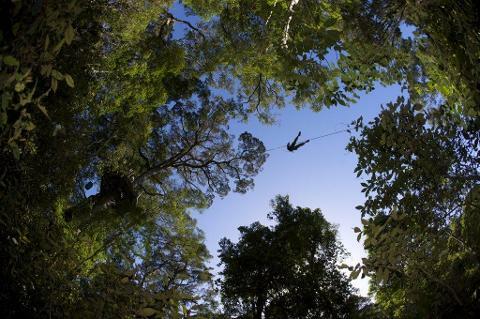 Discover the secrets of the spectacular Tsitsikamma Indigenous forest. As you enter the forest you will encounter Hard Pear trees, Giant Yellow Woods and other interesting Forest Flora. Stand next to a giant Outeniqua Yellow wood and feel like a dwarf against this unique creation. You will encounter beautiful Tree Ferns hundreds of years old. Bird life is abundant (including Knysna Loerie's and the elusive Narina Trogon), and your guides will explain the ecology of the lush primeval forest. 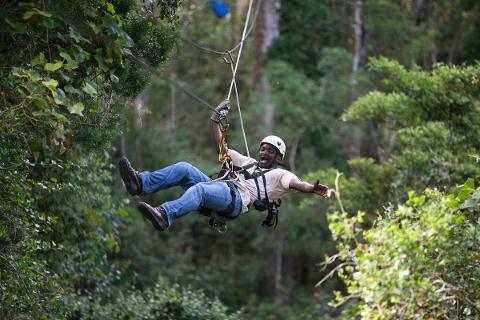 The Tsitsikamma Canopy Tours is located in the scenic Stormsriver Village just 180 km from Port Elizabeth and 65 km from Plettenberg Bay. The tour consists of ten slides, and the longest one is 91m long, each ending on a platform constructed in the trees, 30 meters high. 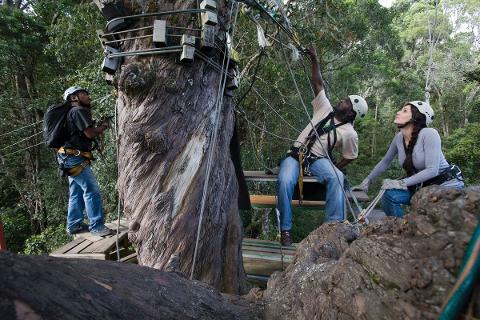 Tsitsikamma Canopy Tours is a fully guided nature experience with a strong emphasis on client comfort and safety. Two trained guides will accompany each group on the 2-3 hour tour. They will provide information about the endemic forest and geology of this unique forest. 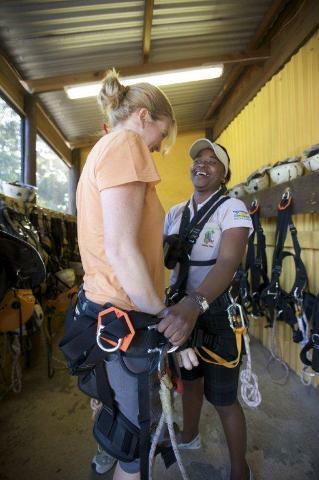 Guests who are differently abled or have unique needs are to please book via telephone or email in order to share their specific requirements so that Stormsriver Adventures and its staff can cater to these needs and ensure you enjoy your experience to the fullest. Tours include a light meal and refreshment either before or after the tour. Clients are advised that the tour includes a 600m hike out afterwards. Moms to be: We apologies – this tour is not for you while you are pregnant. 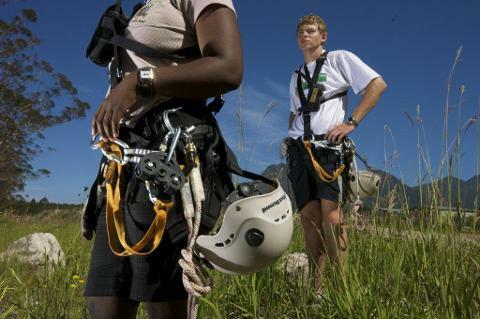 We suggest a weight restriction per person of approximately 120kg to 130kg – this restriction is not weight related, but rather imposed by the size of the harnesses we use and is based on the circumference of the straps around the body. Our minimum age is 5 years old, and the children can do the tour in tandem with the guide. The activity is an all-weather activity. 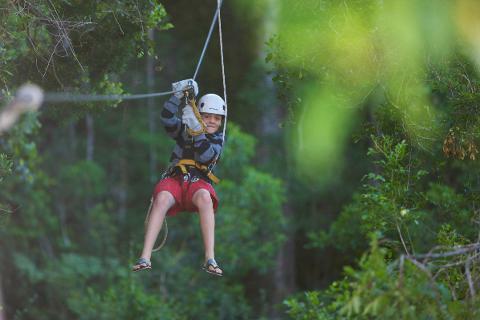 Even in the rain – just bring something warm to wear and come and enjoy a rain forest experience with us. 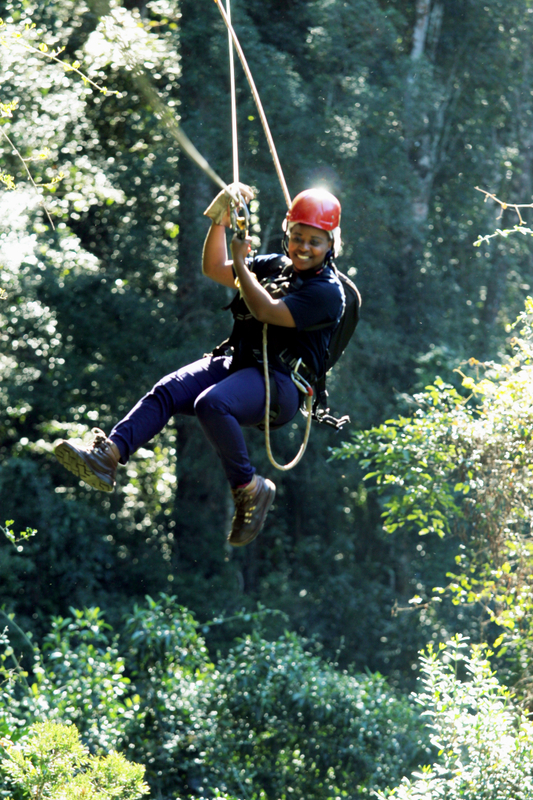 It is in the Tsitsikamma Indigenous forest and always a magical experience. A rain jacket will be supplied. Comfortable clothes should be worn.